April 12th 2018 saw the official opening of the International Bomber Command Centre (IBCC) with 6,000 guests including 308 WW2 veterans coming together on, what turned out to be, the coldest April day for 76 years. 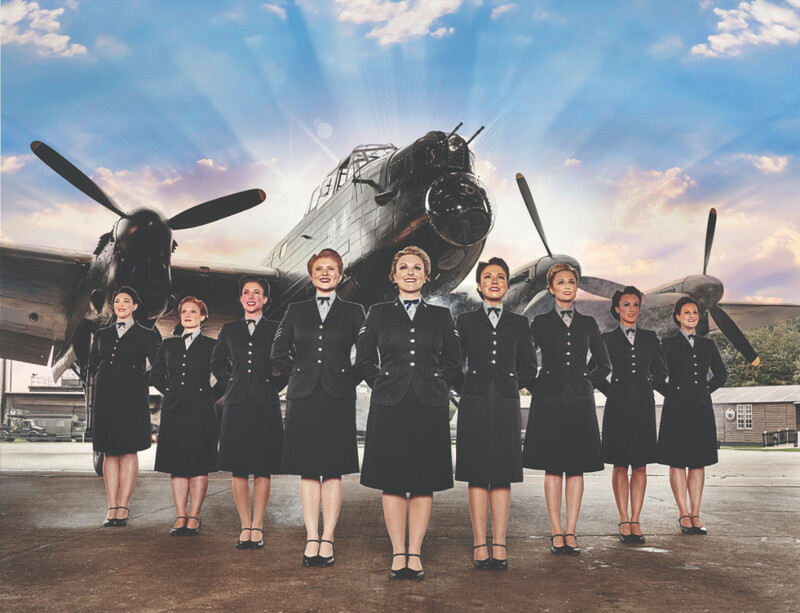 To celebrate the anniversary of this key event, the IBCC will be welcoming members of the D Day Darlings, The Stars of the 40’s and the Waddington Military Wives Choir to join with some WW2 Bomber Command Veterans. The performers will be feature in two outdoor concerts to include popular classical trio Blake, which will be held at the IBCC on the 8th and 9th June commemorating the 75th Anniversary of D Day. Several of the D Day Darlings stars have very personal connections with Bomber Command and Lincolnshire. Katie’s step Grandfather, Clifford Storr, was a Navigator in Lancasters and completed 2 tours of duty and survived two crash landings. For Clifford, these songs mean the world after his wartime experiences. “I didn’t expect to survive,” he says. “The odds against coming through were stacked against me. I’ve no regrets, but lots of sadness that so many of my friends never made it. Emily’s grandfather was Flt Lt Alfred Smith DFC who served with 101 Sqn out of Ludford Magna. He was awarded the DFC on 23rd March 1945 flying in NG139 with Pilot F/O K Hanney. After the War, Alfred became the President of the RAF 101 Squadron Association. Ollie from Blake, who are performing in China on the 12th April, has a direct connection to D-Day – his Grandfather Brigadier David Baines MBE, was a gunner in the Royal Artillery who landed on Gold Beach, aged 21. He served as Command Post Officer. Gunner casualties numbered in their thousands. Later he went onto be a passionate ambassador the Normandy veterans Association, serving as President for a number of years. He sadly passed away in March 2018. Blake also performed at the unveiling of the London Bomber Command Memorial in London in June 2012. Visit the website to find out more about the project, book your tickets, donate or volunteer.